Grow a New Eye - 1. Engineering an eye-camera. 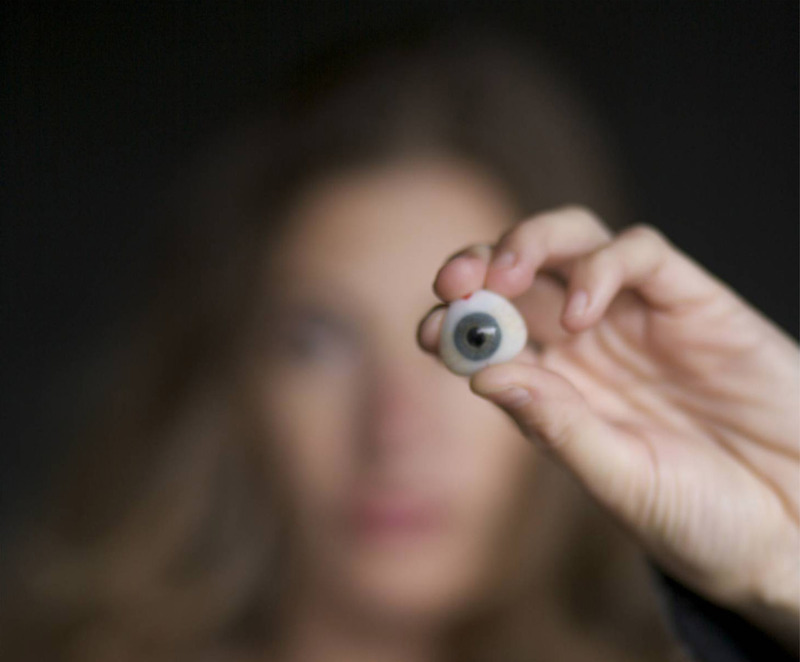 After Tanya lost her eye in a car accident in 2005, she began imagining a bionic one. 318 backers pledged $19,631 to help bring this project to life. Thanks for visiting my page! I am attempting to recreate my eye with the help of a miniature camera implant in my prosthetic / artificial eye. The intraocular installation of an eye-cam will substitute for the field of vision of my left eye that I lost in 2005 from a car accident. While my prosthesis is an excellent aesthetic replacement, I am interested in capitalizing on the current advancement of technology to enhance the abilities of my prosthesis for an augmented reality. Before we get into the nitty gritty details of the eye camera, let's back up a few years. In 2005, I was in a near death car accident. Centimeters away from death, I managed to pull through. Although grateful to be alive, I lost my left eye in the tumble and suffered frontal lobe minor brain injury and severe depression. I entered the vast world of the Internet and chronicled my experiences on my blog, One-Eyed. I posted about new developments in technology that would help me regain sight. Soon I began envisioning a sci-fi plot twist to my predicament. I pitched my idea to Wired Founder Kevin Kelly. Intrigued, he posted my call out to engineers to help build an implant of a miniature camera inside my prosthetic eye. Immediately the idea went viral and I received hundreds of international engineering proposals, support from my one-eyed community, and thousands of media inquiries. I became the media haven for transhumanism and the subject of controversy around engineering the body. Since then, I've been plotting new strategies to tell my story, both my personal one and the one of my sci-fi alter ego, into a transmedia platform, which will include: a graphic novel, an experimental documentary, a web series, a game, and a live performance. Grow a new eye - is about engineering a new bionic camera eye. Eye-Camera: An intra-ocular installation of an eye-camera. An experiment in wearable technology, cybernetics, and perception. Your name on the website and exclusive updates. A special handmade Eye Tanya magnet or button + all of the above. $20 or more will get you into two exclusive EyeTanya events, one in NYC on July 31 (http://growaneweyeny.eventbrite.com/) and the other in San Francisco on August 2 (http://growaneweyesf.eventbrite.com/). If you're not in these areas, we'll send you a link to attend the event remotely via a live stream. A limited edition signed, Eye,Tanya thank you note made from sketches for the graphic novel component of the project, + your name on the website and exclusive project updates. Custom designed Eyepatch + all of the above. A private invitation to the exclusive wrap party, unveiling the camera prosthesis and how it works + Associate Producer credit. VIP access to the exclusive wrap party + Associate Producer credit. VIP access to the exclusive wrap party and a private interview with Tanya. Limited edition designer Eye Patch by renouned designer (TBD) + VIP access to the wrap party. Producer credit + all of the above. Your very own souvenir version of the eye camera (not to be worn as a prosthesis) + producer credit. More information available upon request.